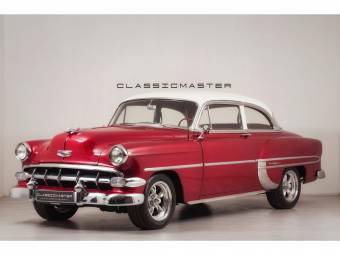 The Chevrolet Bel Air was an iconic car model manufactured by Chevrolet from 1949 to 1980. Starting out as a hard-top design, the model sported many styles over the years as successive generations were released on to the market in North America. 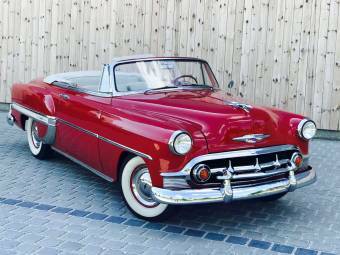 The model reached peak popularity between 1955 and 1957, becoming Chevrolet's premium model. 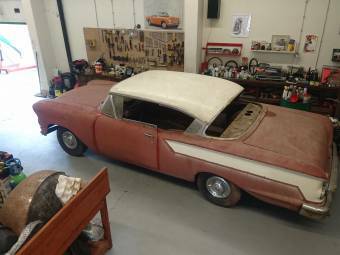 The First Generation of Bel Air models arrived in 1950 with a revolutionary hardtop design, which looked like a convertible but had a non-detachable roof. 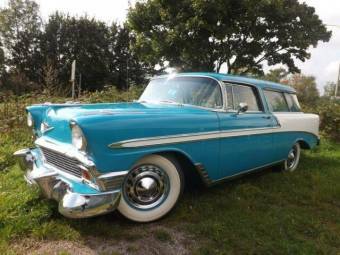 Although this style was seen in earlier car models, it only became popular in the 1950s when Chevrolet and other manufacturers adopted the style. 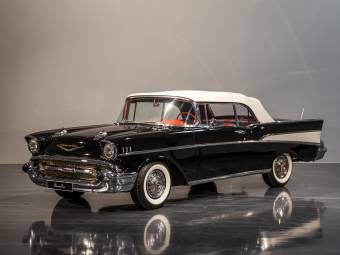 Three years later, Chevrolet made big changes by re-branding their Chevrolet Bel Air as a premium model – now representing a range of styles rather than a single body-shape. 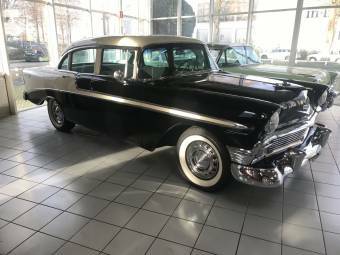 In 1955, the Second Generation of Bel Air models landed on the market, featuring new power capabilities and luxury fittings such as chrome spears and interior carpets. The Ferrari-inspired grille typical of Bel Air cars was also altered in 1956 to look more like a standard grille following complaints from customers. 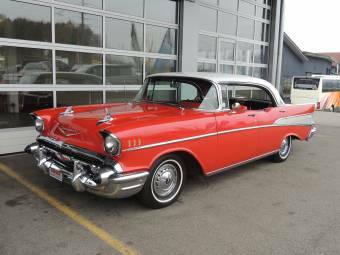 Lower and heavier Bel Air models arrived for the Third Generation in 1958, including the popular Chevrolet Impala. 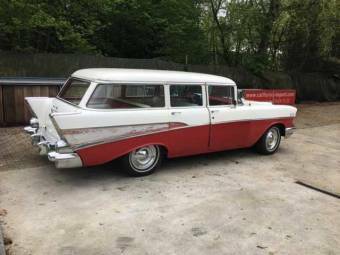 From 1958 until 1980, Chevrolet would announce a further four generations of models in America, starting with a brand new car design in 1959 sporting low headlights and tailfins (1959 Chevrolet). 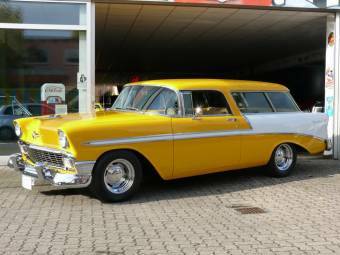 Other highlights during these years included another body re-design for the 1961 Chevrolet Bel Air, followed by a newly-styled full-size Chevrolet in the Sixth Generation. 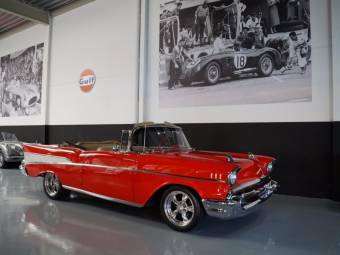 By the Seventh Generation, the Bel Air was a basic option for customers who wanted a low-cost car that cut back on the luxuries. After the final Chevrolet Bel Air left the production line in 1975, its successor in function and style became the Impala a year later. Various exclusive Chevrolet Bel Airs were made available to Canadian customers during the 70s and early 80s, including a Bel Air Sport Coupe, which was inspired by the Impala Sport Coupe. 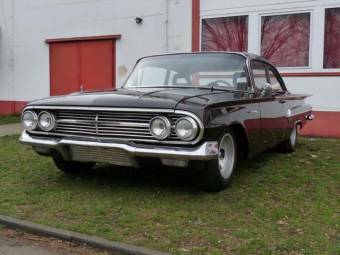 Interestingly, this model back in 1961 was popular for drag racing due to its powerful V8 engine. An Eighth Generation model was also released in Canada for the low-price market in the late 70s and included the coupe, sedan and station wagon models. 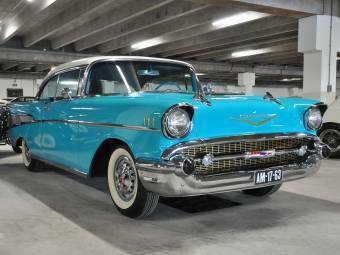 This was to be the final generation of Bel Air cars amid declining sales. However, the 2002 Chevrolet Bel Air Concept was displayed at an auto show in 2002, featuring details reminiscent of the 1955-57 Chevrolets.